The top Spanish player GM Francisco Vallejo Pons and the Filipino GM Oliver Barbosa shared first place in the 14th Bangkok Chess Club Open 2014 with 7.5/9 each. The event took place from 12th to 19th April, 2014 at the 5-star Dusit Thani Bangkok Hotel in Bangkok, the capital and the most populous city of Thailand. It was a 9-round Swiss tournament, more information here. 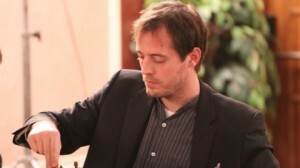 GM Jan Gustafsson is third on tiebreak in a 3-way tie with IM Quingnan Liu and GM Bartosz Socko with 7/9 each.